Metis in the Red River area turn back the newly appointed Lieutenant Governor of the Red River Colony, William McDougall, who is known to be notoriously anti-French. The Canadian Broadcasting Corporation (CBC) is established as a Crown Corporation, with 8 stations and 16 privately owned affiliates. A jury in England finds the publisher of D.H. Lawrence’s novel, Lady Chatterley’s Lover, not guilty of obscenity. In a protest against the Vietnam War, Norman Morrison, a 31-year-old Quaker, commits suicide underneath the window of Defence Secretary Robert S. McNamara’s Pentagon office by dousing himself with kerosene, and setting himself on fire. 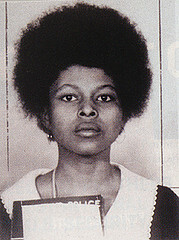 Members of the Black Liberation Army free black radical Assata Shakur from the Clinton Correctional Facility for Women in New Jersey. Shakur lives on the run for several years. In 1984, she is granted political asylum in Cuba.